There are normal production boots that you buy for style and just normal wear and tear and then there are tried and true work boots (workboots). 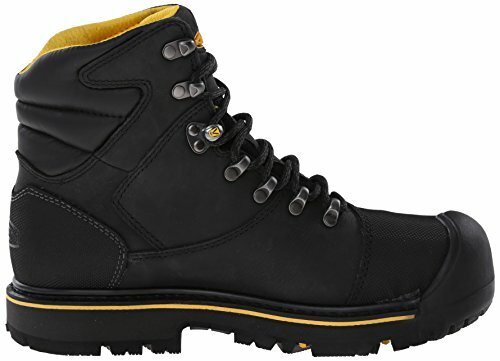 Work boots will generally be made to a much higher quality, with indistrial applications in mind such as construction, factory work or anything else that has people working on their feet all day long where they need extra protection and comfort for their feet. This of course means in many cases having steel toed boots to protect from objects falling on your feet. But not all work boots are steel toed. But ALL work boots should be made to an exceptional level of quality so you can be sure that you won’t run through a pair every 3-4 months. 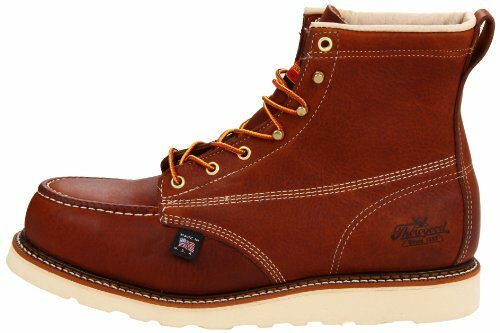 We have put together a list of our top 10 most durable work boots to show you what kind of price range you need to be looking at for something decent. 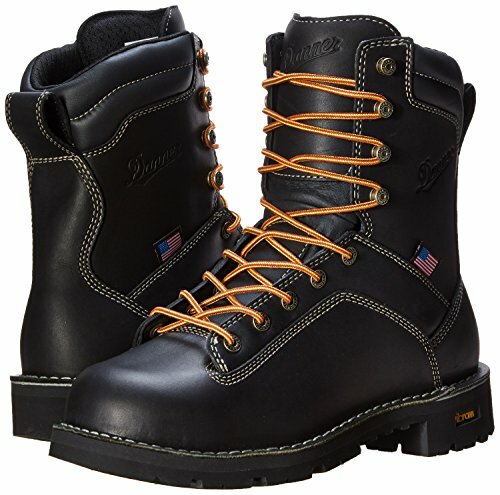 All of these boots are recommended by real people who work in the construction trades and industry. Sure, you’re not looking at a $75 pair of boots here. 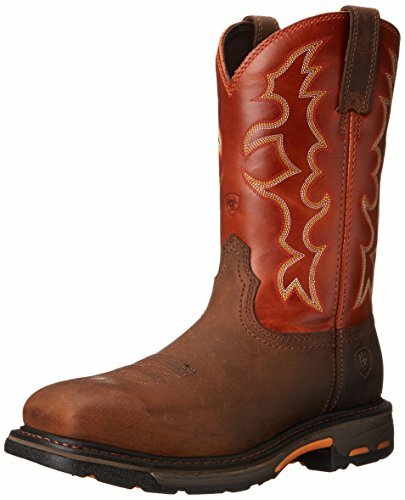 These are extremely high quality workboots that have a level of craftsmanship that is far beyond a normal everyday pair of boots. Many construction workers will tell you that these are simply the best pair of work boots that exists. And they wouldn’t be wrong. They are incredibly comfortable, but also rugged to a degree that is almost absurd. 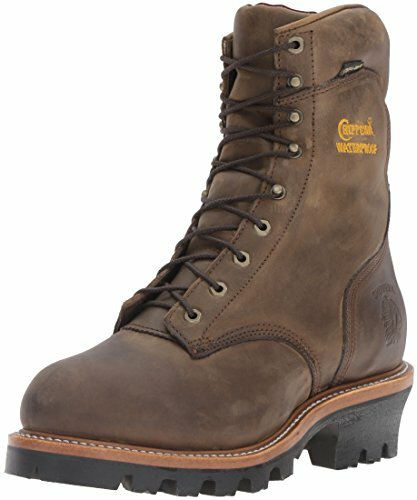 These are a taller 10 inch boot that is perfect as a general work boot that is intended to take a huge beating. 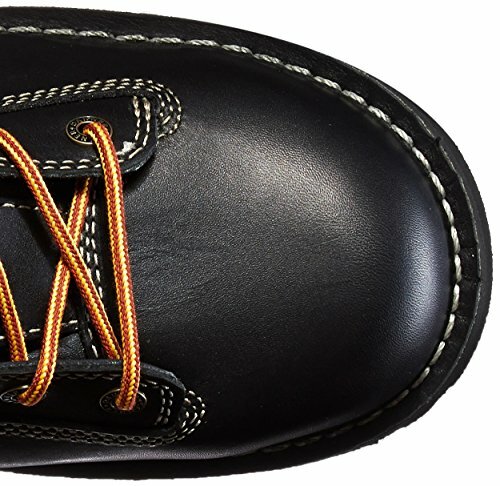 They are made with full grain leather and a durable Goodyear welt design. 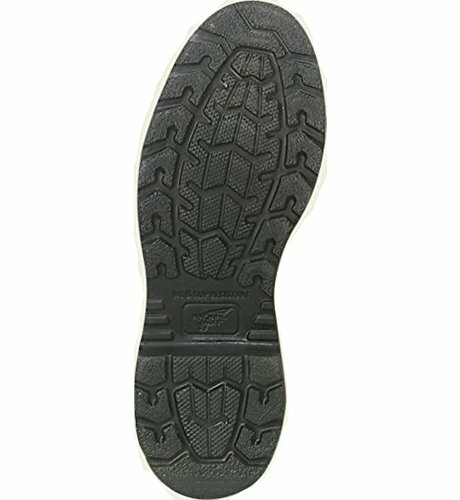 Not to mention the industry leading Vibram soul and heel that provide amazing grip. 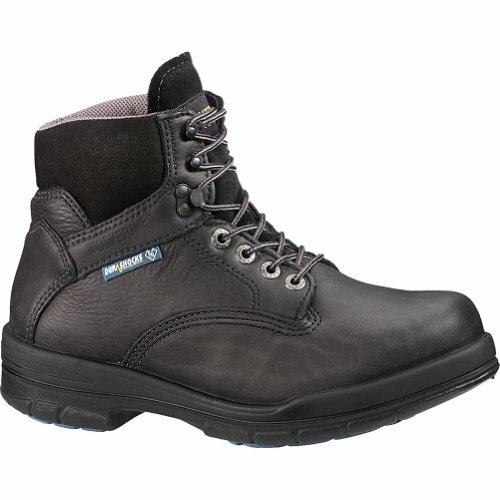 The Wesco Jobmaster should be at the top of your list for a non steel toe work boot. These 8 inch boots continue Red Wing’s amazing reputation for quality constructed boots. 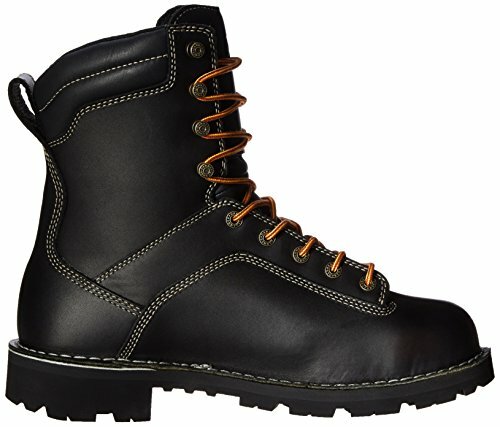 These steel toe boots are made of full grain leather with a very sturdy dual density supersole welt holding it together. 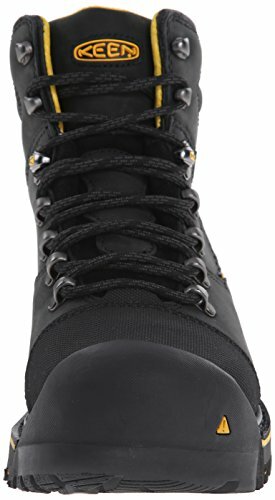 These boots are fully insulated for use on electrical lines as well as fully waterproof due to their use of goretex as insulation. 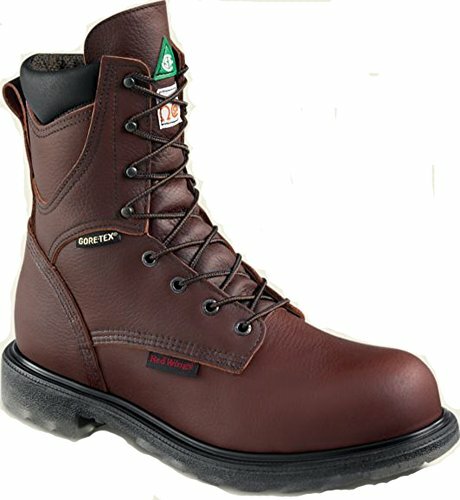 These boots are made in the USA and may be one of the sturdiest pairs of work boots you can buy, especially if you are working in a very hazardous environment requiring electrical insulation and full waterproofing. 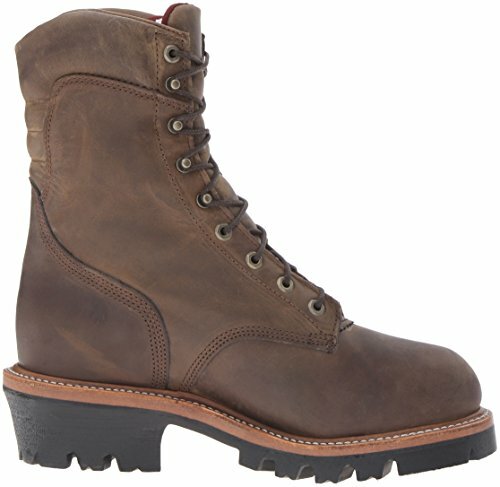 Thorogood is your go to work boot if you aren’t interested in paying over $300 for a pair of boots. 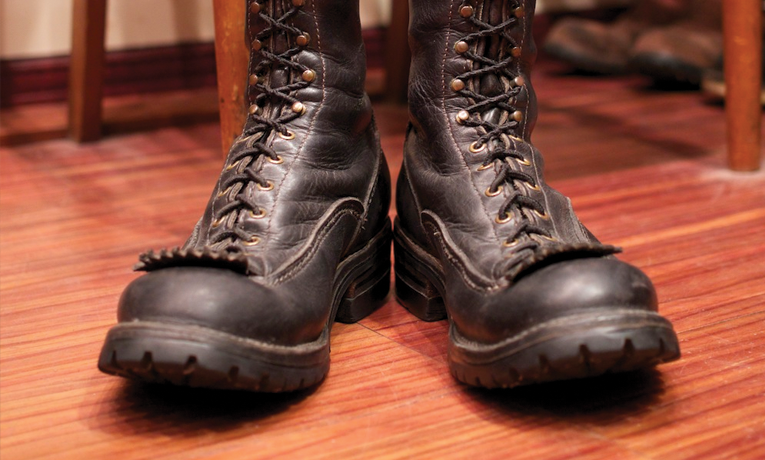 While they aren’t quite in the same league as the Red Wings or Wesco, they are a very capable work boot. 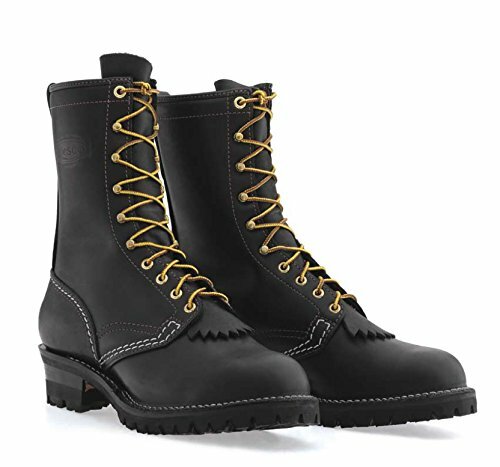 Made in the USA, Thorogood has been at it for over 120 years making really high quality boots. 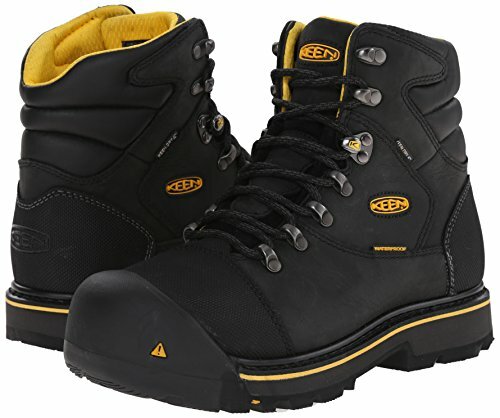 These ASTM rated steel toed 6 inch work boots feature a very comfortable inner sole, an engineered composite shank, and full electrical hazard protection that meets CAN / CSA Z195 standards. They are also Goodyear storm welted which is one of the most durable boot construction methods around. For the money you won’t find a better pair of work boots. 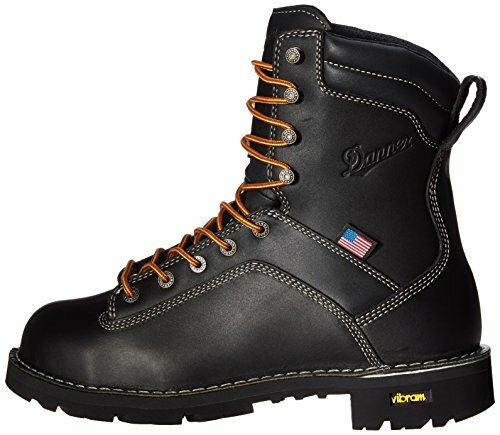 Danner is one of our favorite boots companies period. They excel at hiking boots but also have a great name when it comes to work boots. 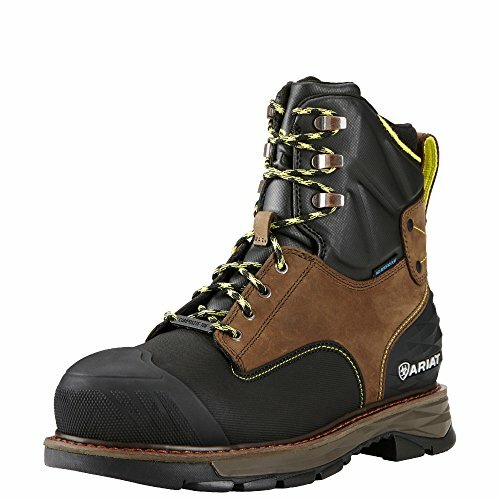 The Danner Quarry is probably one of the more popular premium work boots you’ll see on the construction site. And for good reason. 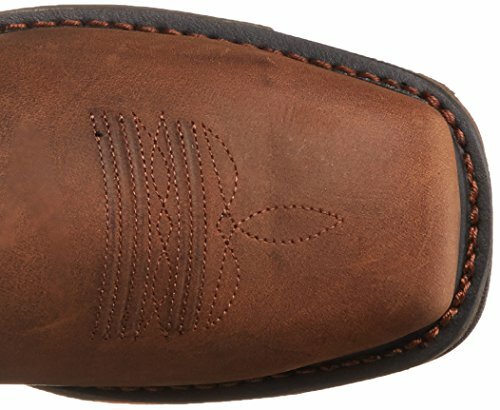 They use full grain leather, vibram soles, triple stitched construction and some of the most rugged and durable hardware you will find. And they are made in the USA (if you want to Make America Great Again). Not to mention that these guys don’t break the bank either. 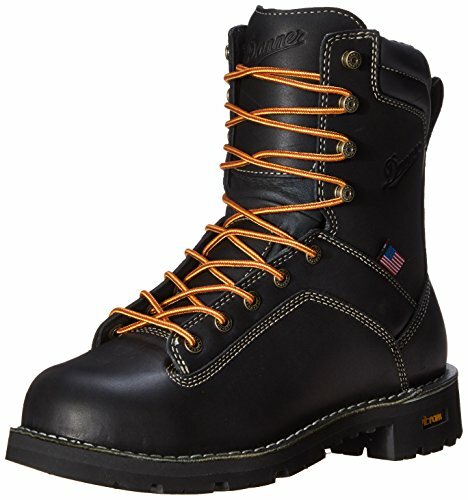 These 9 inch steel toed work boots from Chippewa are a fantastic middle of the road work boot. They have sort of an understated look that is nice for a lot of people who don’t want anything flashy on the job site. Again, these are fully Goodyear welted with quality leather construction. 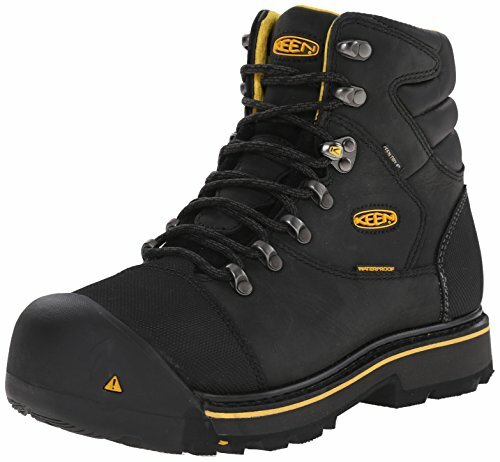 They are ATSM electrical hazard certified and use vibram soles and Thinsulate insulation for those cold-weather days. 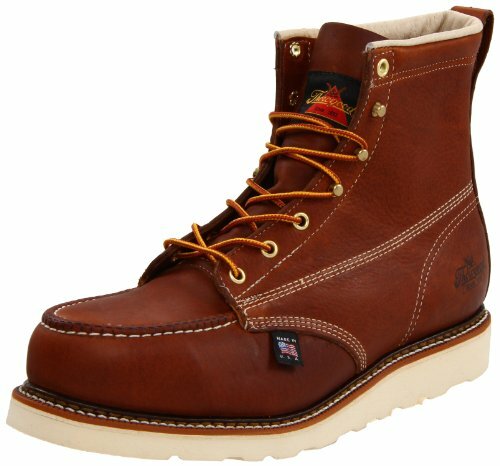 One of our favorite additions here is Chippewa’s inclusion of a triple-ribbed steel shank for extra stability. These are awesome work boots overall. Here is a boot that breaks from the traditional leather look. 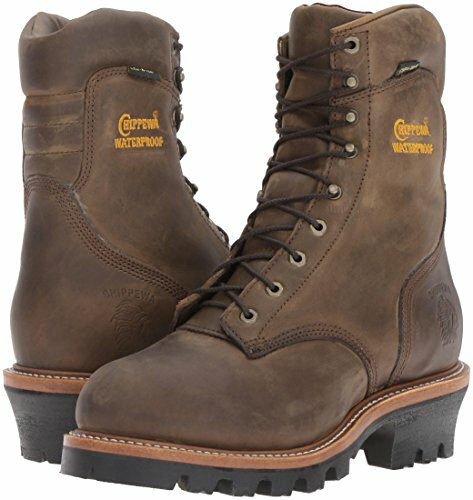 But while they may look a bit more modern, they have the same amazing construction as many of the top work boots out there. 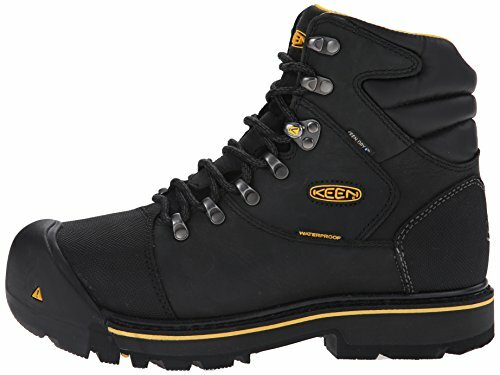 They feature a surprisingly breathable yet waterproof design as well as one of the most comfortable footbeds out of any work boot we recommend. But just take a look at the amazingly positive Amazon reviews on this pair of boots and you’ll be sold. 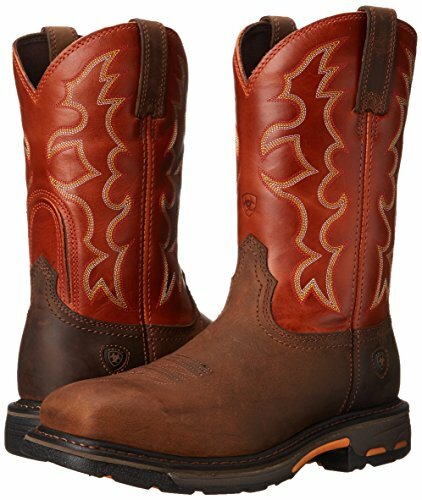 Ariat has really approached perfection with this pair of work boots. 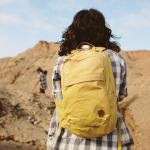 The H2O model features fully waterproof full grain leather and a really well protected outer boot shell. 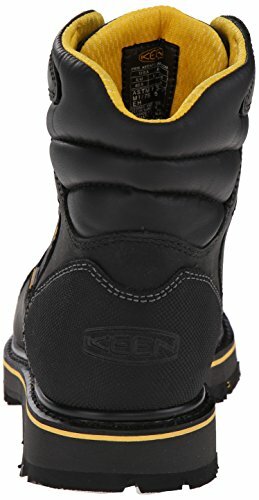 While it is a composite toe, these will still be one of the more protective work boots out there. 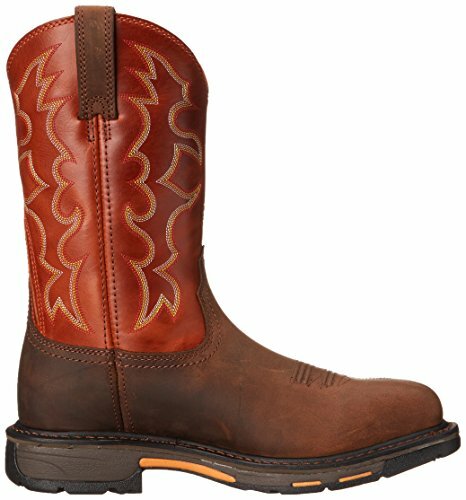 We like Ariat so much that we included another pair of their great boots on our list! 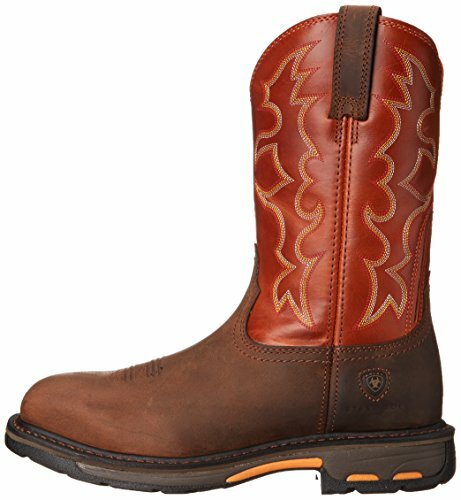 The Airat Workhogs are a full steel toe design that adds a cowboy flair. They are ASTM F2413-11 M/I/75 C/75 EH rated so you can bet that these will protect you from falling debris. A lot of construction workers claim that this is the best work boot that money can buy. We would argue that perhaps the Wesco’s or Red Wings are slightly higher quality, the Workhogs would be close behind. Here is another fan favorite. 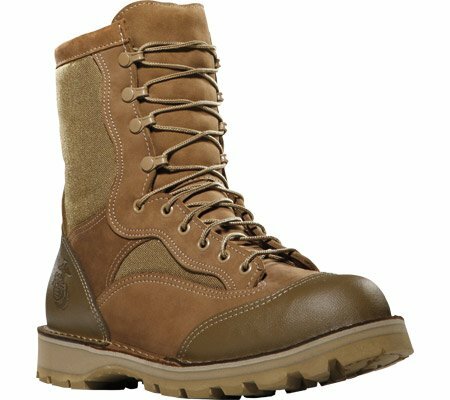 The Danner USMC’s were designed in partnership with the United States Marine Corps. So they better be good. Well, they are. RAT stands for rugged all terrain, meaning that these boots are literally designed for military missions. 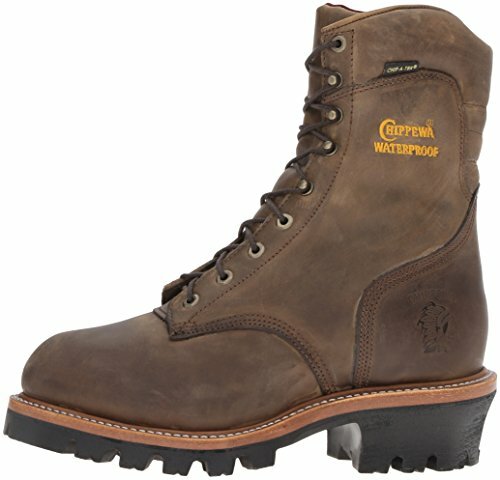 Of course, these are made in the USA to some of the toughest tolerances of any work boot (or military boot). They have awesome insulation as well as one of the best Vibram soles around. 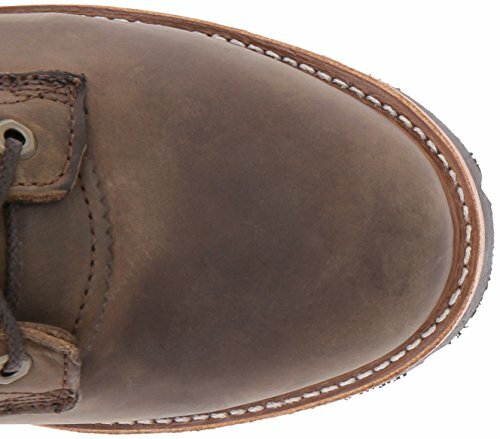 So while you may not be using these to take pot shots at Osama Bin Laden, you know that Danner has put these boots through their paces thousands of times. To round out our list we bring you Wolverine’s excellent lower profile work boots. Their claim to fame is their DuraShock sole that holds a grip better than most on the market. 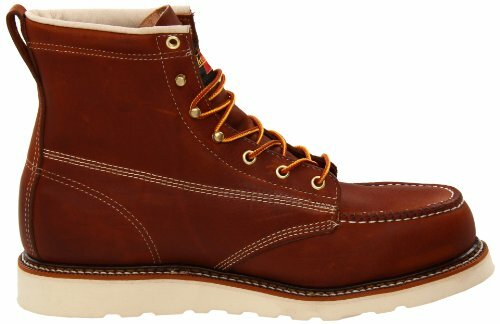 These are also one of the most comfortable pairs on this list thanks to the dual-density footbed that Danner included here. You can get this pair in a steel-toe or normal toe. Here we go! All in one place. Here are what we think are the absolute most durable work boots that money can buy right now. They run the gamut from just over $100 to over $400 a pair. But rest assured that whatever you buy from this list, you are buying and great Buy it for life BIFL pair of work boots.